Data Recovery utility easily undelete lost data from various disk media devices such as Memory card (xD card, SD card, MMC card etc. ), Memory stick, Jump drive, Smart media, Mobile communicator, Handheld computers, Jump drive, USB drive, Pen drive and hard disk partitions. 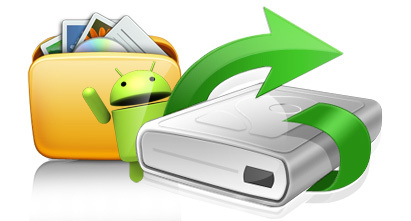 Choose any one searching mode to search and restore lost data files and folders. 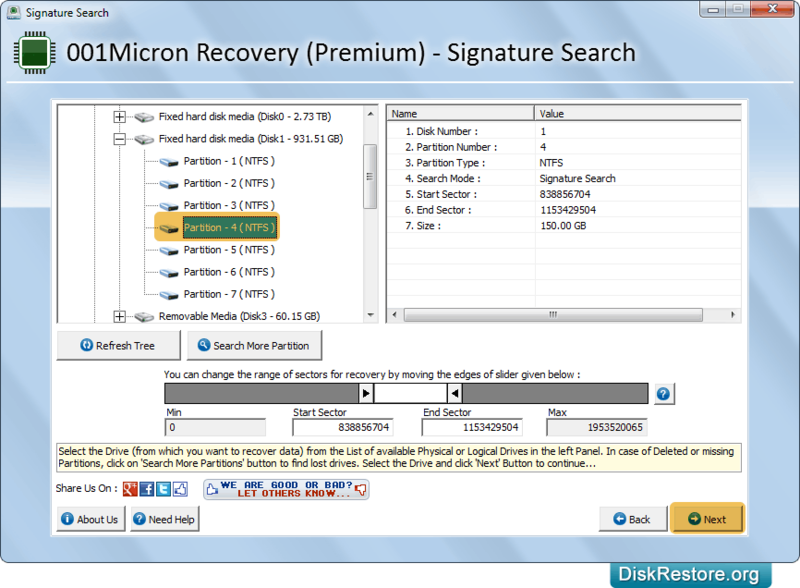 Select partition from left panel from which you want to restore lost data and click 'Next' button. Browse destination path where you want to save recovered data files and go to next screen. 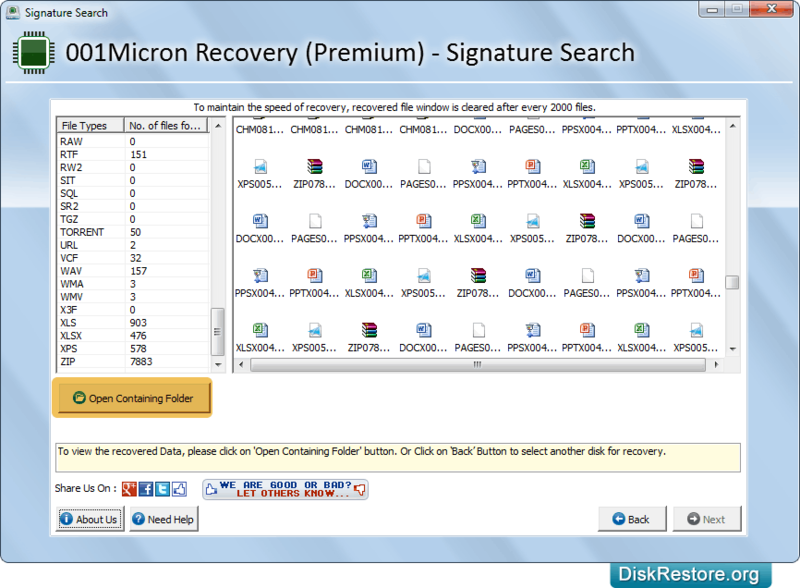 Click on Open Containing Folder option to see the recovered data files and folders. 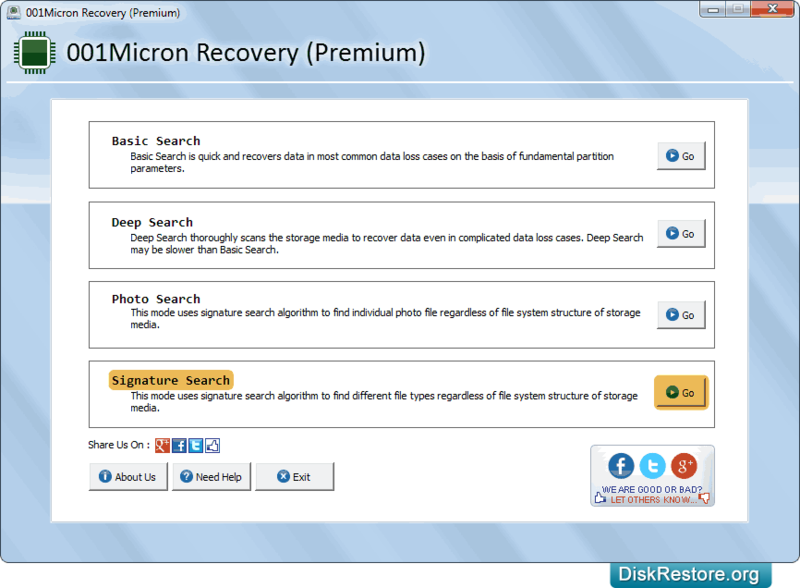 Salvage lost data from formatted corrupted damaged hard drive and flash memory devices. 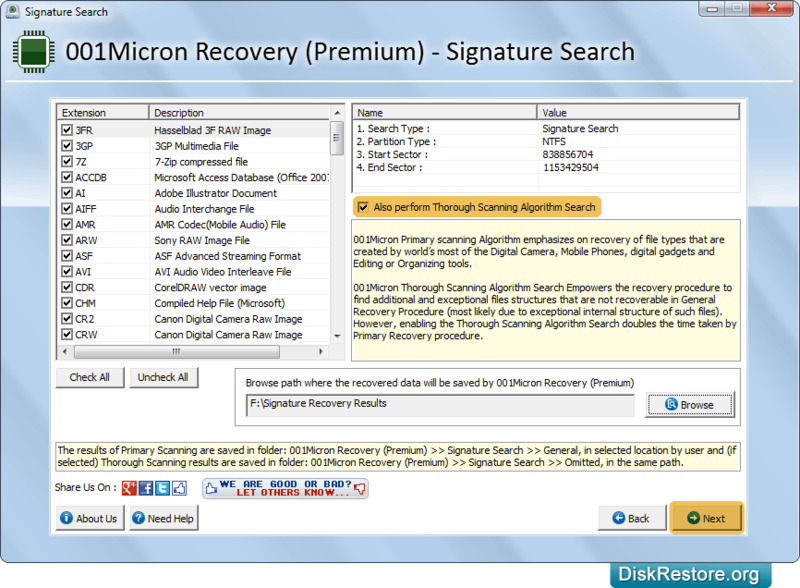 Restore data from virus corrupted hard disk/drives. 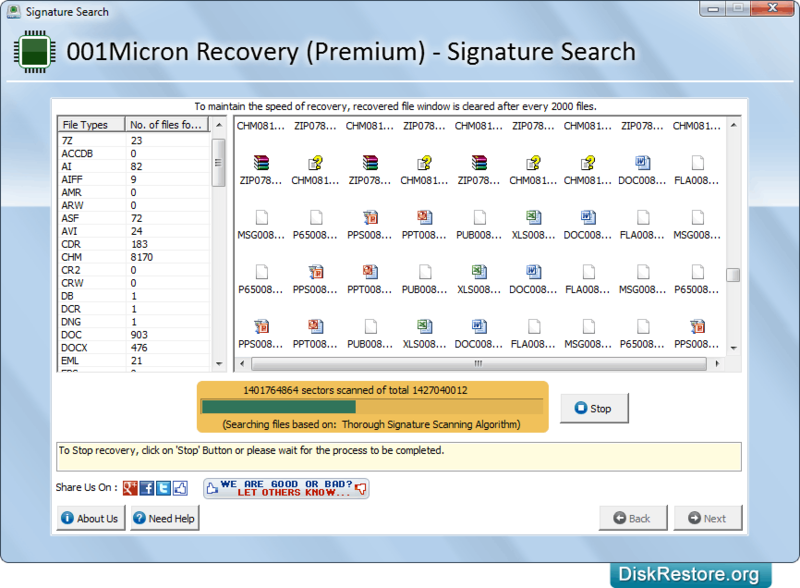 Retrieve data from inaccessible hard drives. Emptying Recycle Bin folder and more.